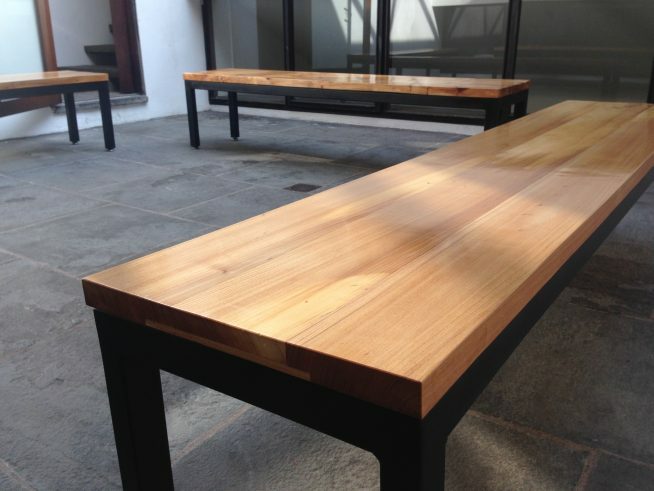 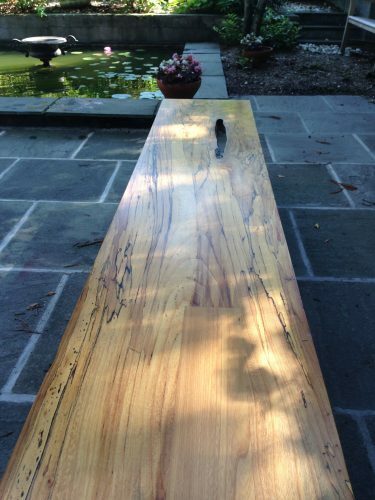 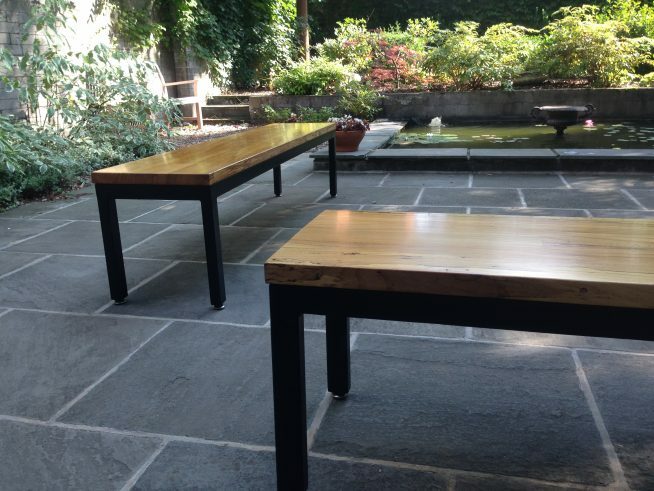 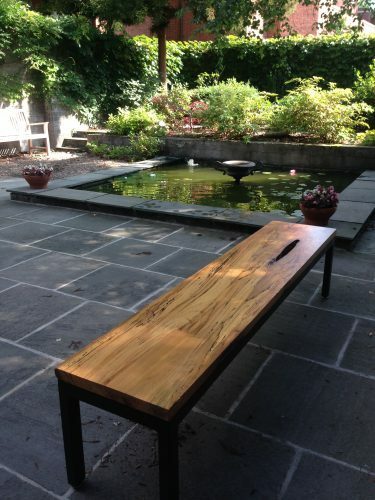 We made 7 elm benches from reclaimed wood from Yale’s campus and New Haven street trees for one of Yale’s secret societies. 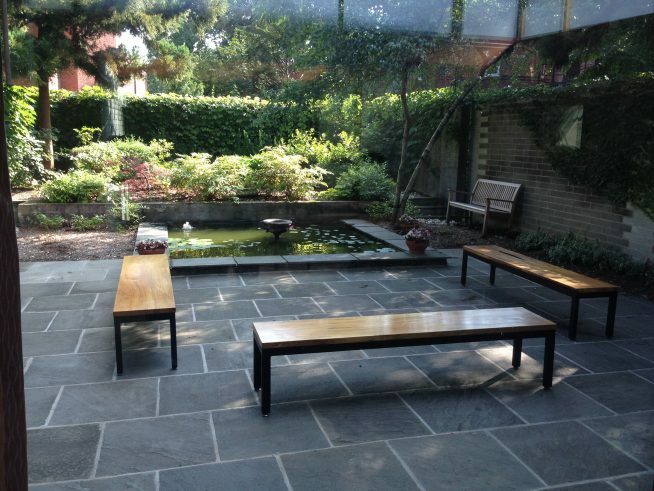 Three of the benches were for outdoor use in the garden and four were for indoor use in a sun room. 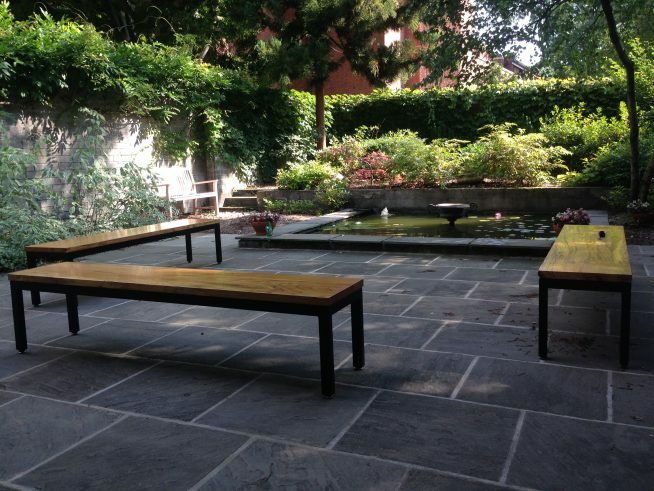 We were pleasantly surprised with how well the benches paired with the garden and the house.